There's a quiet side street in Amsterdam. There's not a lot of traffic, and nothing particularly exceptional to set it apart. But there we found some of the last practitioners of alchemy in the world. They take relatively common ingredients, and turn them into something truly remarkable. They're master blenders of rum, and they've been doing it since the 1700s, when the bounty of the Caribbean crossed the trade routes in creaking sailing vessels, returning to the old world. We challenged those master blenders to free the flavor that has been distilled out of rum by mass producers who were intent on dumbing down one of the world's great spirits. They took us to Trinidad, where they hand-selected individual barrels of white rum, not to be used immediately, but to be aged for 5 more years, maturing, mellowing, and developing complexity in their oaken casks. Take a look at the name. 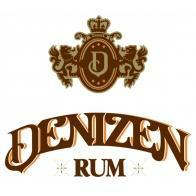 The word Denizen is derived from the Latin word Deintus, translated "from within". It was widely used between the 17th and 19th centuries to describe free spirited people who traveled around the world seeking new things and exploring new places. And the "denizens" of the new millennium? They're the ones with the courage to find their own way, who refuse to accept life as they find it and insist on shaping it to their own vision. These are the people for whom we undertook our quest. For whom we developed a rum that pays homage to our Dutch, Trinidadian and Jamaican heritage, all of which have rich histories inspired by their Liberated Spirit.